Once seen as a more dated metal finish over brass, gold and copper, chrome is making a comeback. Chrome detailing can be seen on accessories like vases and ornaments as well as larger furniture like tables and cabinets, and of course lighting. Large dome shapes are being seen in pendant lights and floor lamps with high shine finishes. When it comes to wall colours, you can be a bit more brave with rich blues and greens, or go monochrome with black and white. Layering tones of grey builds a smart, modern and calming interior look. Add gunmetal into the equation and it gives a luxe look, the shine brings richness with an industrial edge. Use amongst other greys or to stand out, use in accessories in a monochrome colour palette. Add the tone in with vases, candle holders and other small homewares or it’s perfect to use in lighting, radiators and door furniture. 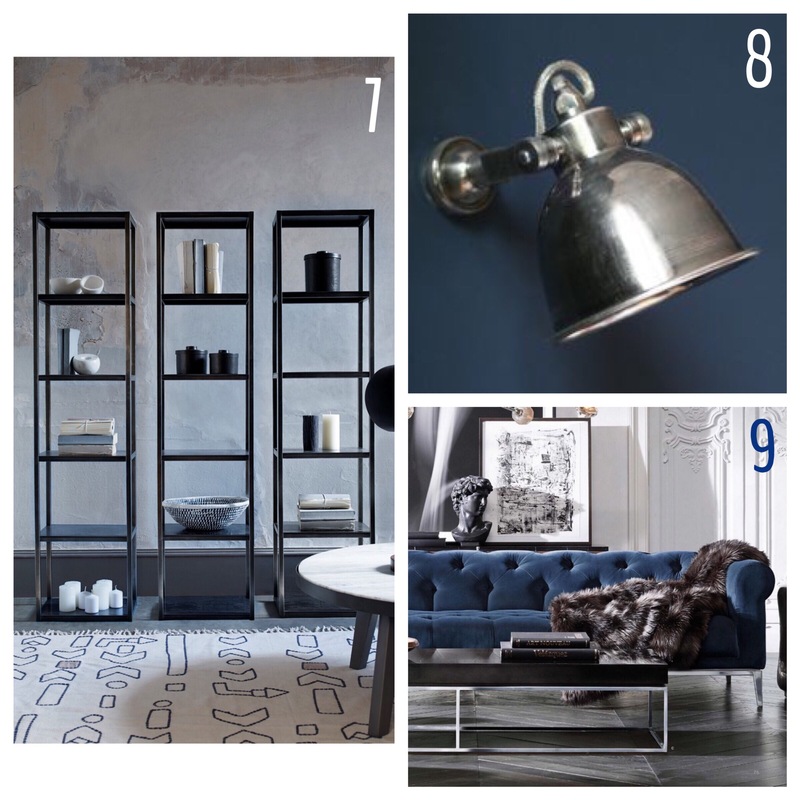 Gunmetal, like other metallics would also sit against rich tones including navy, burgundy and mustard. It looks expensive and strong, and is great for table legs, shelving and other furniture. Available in a selection of colours this stylish lamp will work in almost any room and perfect for a bedroom or office.